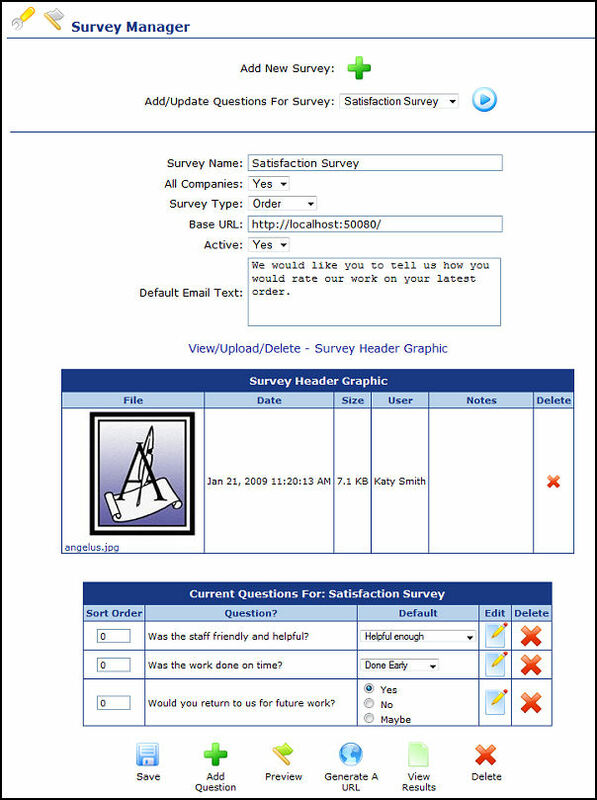 The Survey Manager tool lets you create survey or questionnaire forms that your customers and others can fill out online. It also comes with a reporting tool so that you can track results and monitor who has completed your forms. Set a specific type for your surveys (either customer, order, invoice or vendor) and then you can email out links to your surveys from customer, order, invoice and vendor edit screens. A special identifier will then be encoded with the survey link that goes out in the email so that you can track when the person completes the form. For full details see our Text help for the Survey Manager.